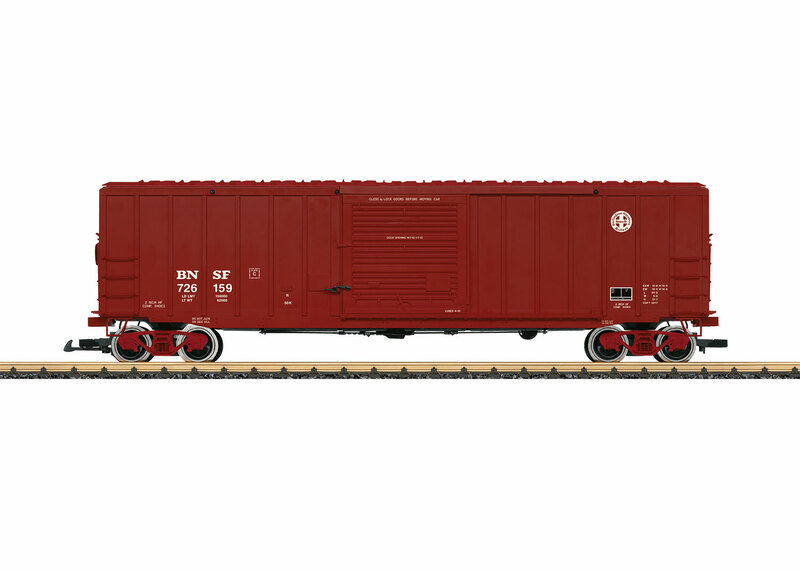 This is a model of a BNSF (Burlington Northern and Santa Fe Railroad) boxcar. It is prototypically painted and lettered for Era V. The car has a different car number from that for item number 42931. It has many separately applied details and sliding doors on the sides that can be opened. It also has metal wheel sets. Length over the couplers 57 cm / 22-7/16". This new item is available with a different car number as a variation. Car number 725562.